Note: the Saturday evening concert in Lakewood has been cancelled due to the severe weather forecast. It’s always fun when musical scores suddenly emerge from wherever they’ve been hiding for decades or centuries. 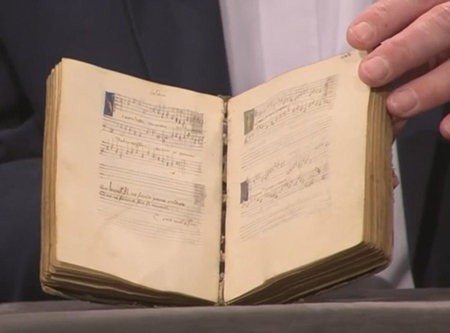 In 2014, a physically tiny collection of 15th-century songs came into the hands of an art dealer in Brussels and caused quite a stir in the early music world. 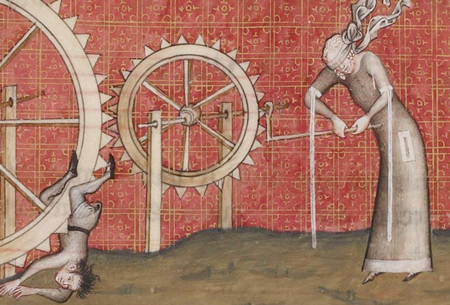 It brought the total of such books that survive to 6, and its beautifully notated pages contain 50 pieces, 12 of which were previously unknown. 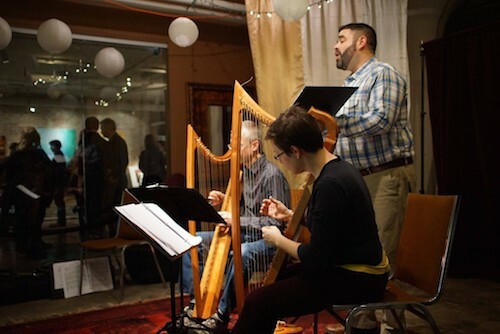 Debra Nagy and her colleagues of Les Délices usually dedicate themselves to bringing the music of 17th- and 18th-century France alive for modern ears. 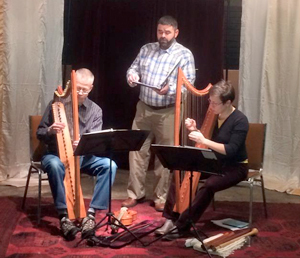 But this weekend, the period instrument ensemble will push the clock back to the 14th century — not an era of powdered wigs and salons, but a time of knights, crusades, courtly love, and increasing secularization. 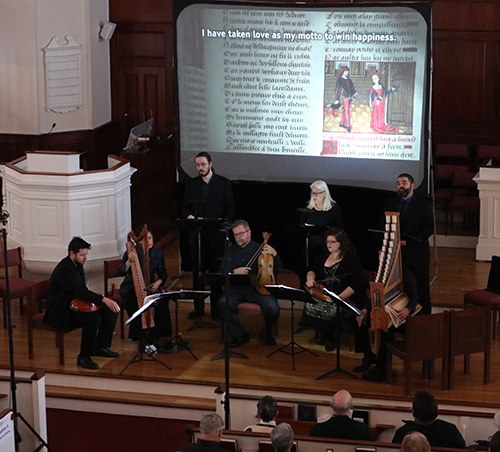 Performances will be held on Saturday, April 8 at 8:00 pm in the Galleries at Cleveland State University, and on Sunday, April 9 at 4:00 pm in Plymouth Church. 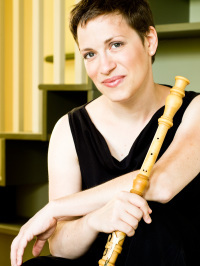 The concerts will feature works by Rebel, Clérambault, Senaillé, and Rameau. 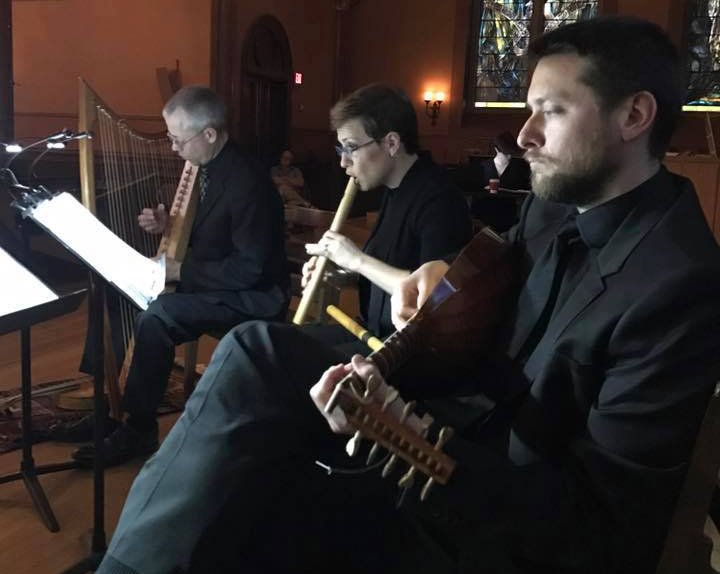 Through a combination of scheduling conflicts and the sin of sloth, I had never heard a performance by the highly regarded Cleveland Baroque ensemble Les Délices until Sunday afternoon May 4, in the Herr Chapel at Plymouth Church, Shaker Heights. Les Délices are artists in residence at the church, so this was home base, although they regularly perform in other venues around town. 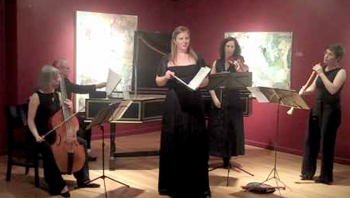 The evening before they had presented this program, “The Leading Man,” at the William Busta Gallery. 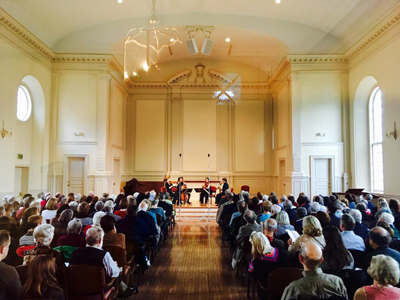 These concerts ended their 2014/15 series, and the Sunday afternoon concert was, with a couple of niggling reservations – more about them later – an unalloyed pleasure.